It’s Halloween and Daisy is going trick-or-treating for the very first time. In the dark . . . in the fog . . . with a VAMPIRE . . . armed only with a torch and some silly string. GULP! 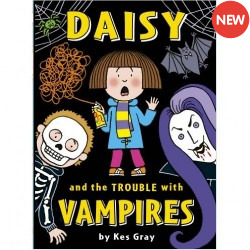 The funny, spooky and totally troublesome new tale from the bestselling Daisy series.